Painting a house may sound fairly insignificant, but your home is perhaps your costliest purchase, and giving it a fresh coat of paint can have a meaningful impact on its value. Serving Anchorage, AK, and surrounding areas, A-1 Kaylor Painting is a paint contractor offering unparalleled craftsmanship and customer service. These experts have been in business since 1970, and they have intimate knowledge of what is required to get first-rate results when painting a house. Do Recognize The Impact Paint Can Have On Your Home's Value: If your home is in need of paint or has a shoddy paint job, it will degrade the value of your property. An expertly handled paint job is important, especially if you're planning on selling your home in the near future. Don't Tackle Painting Yourself If You Have Doubts About Your Experience Or Skill Level: Painting a house yourself may seem like a good way to save money, but if you do a less-than-stellar job, it can influence both your quality of life and your property values. Call the professionals to ensure a perfect result. Do Get Professional Help If You Think You Need It: A paint contractor will be able to paint your house quickly and with expert care. 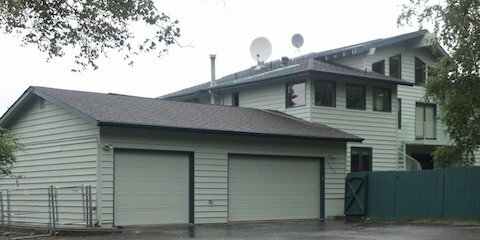 The best paint contractors are artists and will use their talents to enhance and beautify the appearance of your home. Don't Make A Hasty Choice When Choosing A Paint Contractor: Not all paint contractors will paint a home with the same level of expertise. Find a professional skilled in paint application and who has years of experience. Let A-1 Kaylor Painting show you the world of beauty that can come from painting a house. In business for over 40 years, these experts offer top-notch paint brands and unparalleled service. Call (907) 345-7309 to speak with an associate, or learn more by visiting these Anchorage paint contractors online.